claims and cherishes its place in the Holy Catholic Church which is the Body of Christ. It rejoices in the inheritance of the apostolic faith and loyally accepts the fundamental principles of the historic creeds and of the Protestant Reformation. is dedicated to sacramental and liturgical scholarship, education, and practice. 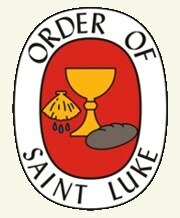 As a religious order, it is a dispersed community of women and men, lay and clergy, from many different denominations, seeking to live the sacramental life.The Order is Wesleyan and Lukan in its spirituality, Methodist in its origins, sacramental in its practice, and ecumenical in its outlook. ​was founded in the (Reformed) Church of Scotland in 1865 with the intention of improving the quality of worship in its day. Originally particularly concerned with Reformed principles of worship, it is now, from the same base, ecumenical in outlook and membership.